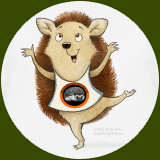 The following organisations and people have supported Hedgehog Bottom's work, either with financial contributions for a specific project or by donating items to support our work. Without these people we would be unable to provide the level of care, nor have the successes, that we currently do. Our heartfelt thanks go out to all of them. They have made a difference. 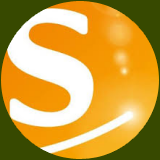 Sainsbury's want to make as big an impact as possible in local communities. So every year they work together with customers and colleagues to support a local cause at the heart of the local community. These are holistic parnerships that last for the whole year and include a range of support such as awareness-raising and fundraising in-store, volunteering and donations. 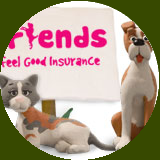 Buying the best value Insurance for your pets in the UK is not the only reason to come to Animal Friends! You will be helping animals in need, all over the world. Animal Friends donates large amounts from our own profits to registered animal charities worldwide each year to help less fortunate animals in desperate need of care, attention, shelter and sometimes just love. 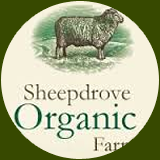 The wonderful Sheepdrove Trust supports initiatives which increase sustainability, biodiversity and organic farming, for example research into organic seed production and nutrition. The trust also supports specific work in educational research and spiritual care for the living and the dying. “RECOVERY is a complete dietetic feed for dogs and cats, formulated to promote nutritional restoration during convalescence or in the case of feline hepatic lipidosis. This feed has a high energy density and a high concentration of essential nutrients which are highly digestible. EASY TUBE FEEDING Recovery texture makes it easier to use for periodic syringe feeding and tube feeding. 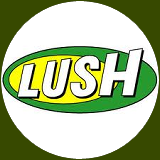 Environmental issues are at the heart of Lush and trickle through to the decisions we make on a daily basis. For example, we use almond and olive oil - not mineral oil - partly because we think fields of trees make our lives much richer than oil fields. We keep on top of legislation and welcome new regulations that genuinely reduce our impact. 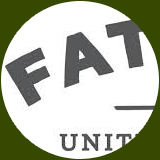 We like to support environmental groups that take part in creative direct action to help change the law. We are committed to becoming more sustainable the more we grow, by using our buying power to drive positive change. 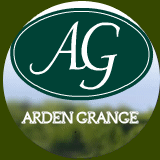 We believe taking care of the environment is everyone's responsibility including all of our staff and our customers. 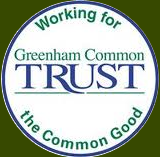 Greenham Common Trust works in close partnership with the local community providing financial support for charitable projects and purposes in West Berkshire and the northern edges of North Hampshire. Greenham Common Trust is focused on the long-term goal of social progress and is committed to making a real difference to the fortunes and lives of the whole community. Zooplus pet supplies fulfil your pet’s every product need, be it grooming, toys, or pet food. Zooplus offers an extensive range of pet products in a wide variety of categories and brands. 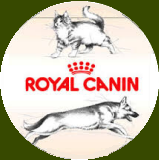 Whether you are shopping for supplies for a cat, dog, or rabbit the appropriate Dog Shop, Cat Shop, or Small Pet shop will offer an assortment of pet products in a range of different styles and brands. With the zooplus Loyalty Programme, you’ll be rewarded for every purchase you make with zooplus! Save on quality food and accessories for your pet, and then exchange your zooPlusPoints for attractive rewards! Maja Sereda is an illustrator like no other. Her books and drawings are like, like, well like nothing else really. The term 'every picture tells a story' applies to everything her pencil has touched. Maja drew a number of hedgehogs for us which were meant to be used to tie in with the 2012 Olympic Games in London and would have been perfect had it not been for the Olympics committee who seemed to think that a small charity should pay as much as a corporation to use the link. The illustrations are now used on our merchandise which is for sale in our shop. 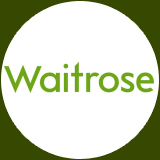 Since its launch in 2008, Waitrose's, Community Matters initiative has donated over £3 million to a wide range of charities and community groups. This unique scheme gives each branch £1,000 (or £500 in our convenience shops) to share out between three local good causes each month - such as welfare organisations, community groups, schools or local divisions of national charities. Customers vote for their preferred cause using a green token each time they shop and the money each cause is given is directly proportional to the tokens they receive. Under the scheme, customers nominate organisations, with the final decision made by PartnerVoice forums (Waitrose's local democratic bodies). Each branch has a Community Matters Champion, who finds out about potential beneficiaries. As a result, and because we feel so strongly regarding this matter, we have developed our own 'Not Tested on Animals Guarantee'. This continues on from the strict criteria that we met when the BUAV 'Not Tested on Animals Standard' was in practice. Our guarantee, together with our company policy, affirms we have not and never will fund any invasive research projects conducted in relation to the development or refinement of pet foods manufactured or sold by our company. 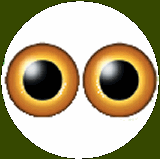 Nor would we be party to any act that could be deemed harmful or injurious to animals. As part of our “Thanks for Giving” initiative for Black Friday, instead of discounting, we decided to donate to local charities. 10% of our net profits were donated to charities local to our 221 stores, each chosen by our store crew and head office staff. We managed to raise just under £200,000! Dries Buytaert is passionate about the web, open source and photography. 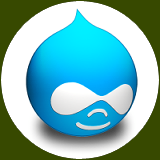 He is the original creator and project lead of Drupal, an open source social publishing system. He is co-founder and chief technology officer of Acquia, a venture-backed software company that offers products and services for Drupal. Dries is also working on Mollom, a service that helps you identify content quality and that stops website spam. People often laugh at his hair but he is cool with that. 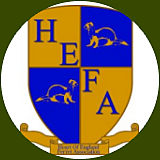 HEFA is a non profit making organisation whose aim is to raise funds for ferret welfares and rescues. Funds raised from events attended will be donated to ferret welfares and rescues and other animal charities across the UK. Although we are not a rescue, if you find a stray ferret or have a ferret in need of rehoming, please contact us and we should be able to put you in touch with someone who can help. Innovative topical solutions for the care of wounds and irritations. 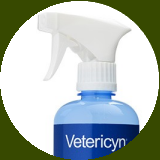 Vetericyn is non-toxic, steroid-free, and antiobiotic-free. Hedgehog Bottom were one of 5 winners of the Charity Giveaway 2012. 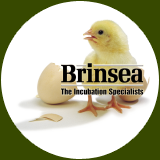 Welcome to Brinsea Products Ltd Brinsea Products Ltd, the Incubation Specialists have been focusing on incubator design continuously since 1976, resulting in incubators and accessories offering you unparalleled practicality, reliability and hatch rates with healthy chicks time after time and are the choice of top breeders and conservation centres worldwide. The incubator range covers capacities from 10 to 350 hens eggs (or equivalent) with features to appeal to breeders of all types of species: from peacock to parrot, plus a range of brooders and bird breeding accessories. 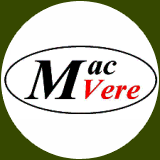 MacVere Engineering established in 1972, located near Portsmouth on the south coast. Providing a service to our Customers worldwide for the small to medium precision manufactured components. Our product range includes parts for the electronic, mechanical and marine industries. Giving us the skills to machine with on a wide range of materials Teflon, Brass, Aluminium and Steel including high tensile Stainless Steels. .
To all those who donate money, newspapers, cages and other items. Thank you, you have made a huge difference and we really couldn't do as much as we do without your support.